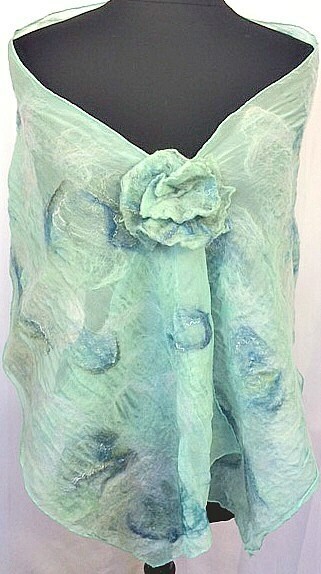 This Nuno felted silk chiffon scarf was inspired by a snorkeling adventure. 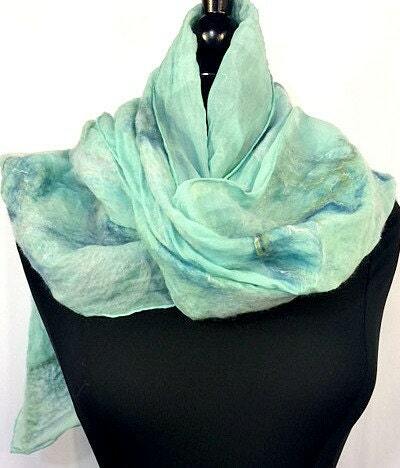 It was handmade through the process of wet felting using natural merino wool fibers, silk chiffon, Tussah silk. 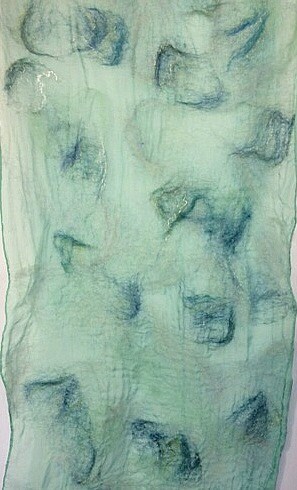 This unique piece was designed to bring a sense of peace and tranquility to the receipient.